Anne Tyler might just have a point. Take this post, for instance: I’ve been thinking about writing about procrastination for a while. And what’s the best way to do this? Well, to procrastinate, of course. (I find it’s often helpful to write about things that I’ve experienced first-hand.) Granted, I did have other topics to cover first, which I did. Then I even sat down and wrote a few paragraphs. Which I let sit for five days. Then I came back and erased them all. Sometimes I don’t write because I have other things to do. I am a very structured person, and as such, I cannot allow myself to write a blog post or edit my novel or read for pleasure when I need to pack my son’s lunch or send an important e-mail or wash a load of laundry. But sometimes I don’t write because… well, maybe I’m just wasting time on Facebook. Granted, I don’t do that too often – and I even got rid of all the games on my phone to eliminate those distractions – but there are still plenty of times when I should be writing, but I do things that could easily wait until later instead. If such a self-disciplined person as me has a hard time staying on task, what hope is there for writers who aren’t nearly as structured to ever start the writing process? I have a two-part answer, and the first part is that I think it’s a me thing, separate from being self-disciplined. This isn’t something that’s just happened to me since having kids. It’s something that’s gone on as long as I’ve written. I remember spending afternoons at my parents’ business, pacing through the same four rooms, building scenes in my mind, sometimes even muttering the lines. I would hash over those same scenes ad infinitum. I still do this, although nowadays, I’m not a teenager with a bunch of free time but a mom who squeezes all of her creative thinking into stolen moments in the shower or car or while folding laundry. The second part of my answer is that thinking is a part of the writing process – or any creative process. Now, the problem is that if you don’t ever move beyond thinking – to the actual doing part – you are not a writer or a painter or an inventor (or whatever) but merely someone who aspires to be one of those things. Sometimes I’ll think over a scene so much that I just assume I’ve written it. And then, as often happens, I’ll move onto something else. Months or even years later, I may look for that scene, only to discover that it was only ever in my head. Other times, I do sit down to write, but the words that were perfected in my mind have all but evaporated. Or they just don’t ring true anymore. Something has changed between the initial thinking and the writing. Well said, Ms. L’Engle – and the same thing can apply to blogs. But I don’t think it’s a totally bad thing. I think internalizing a scene or some dialogue or just an idea is all a part of the writing process. As long as I do eventually sit down and write (like I’m doing right now), it adds up to the creative whole. Earlier this week, I discovered an incongruity in my novel. A scene hinged on my protagonist having an opinion based on a conversation she overheard. Unfortunately, I realized this conversation happened when she was three or four and would have been way over her head at the time (if she’d even been paying attention). I had to re-work the scene, keeping the content but changing how it happened. I couldn’t move on until I’d fixed the scene, and I had to think it through first. For several days. I’ll admit, I was a little intimidated by it. When you realize that you’ve created a problem that you have to write your way out of, sometimes the easy way out is just to give up – set the manuscript aside. And I’ve done that before, but I can’t with this one because I’m shopping literary agents. I had to tackle that scene, and after letting it simmer and then reading a few scenes around it, I figured out a solution. Yet again, I feel like Madeleine L’Engle is talking to me. I am that woman with children and another job – a woman who wants to write, who needs to. After all, I can only procrastinate so long before the creative dam breaks. I have legitimate distractions, but I also have stories to tell. So I will continue to fight myself but understand that sometimes it’s okay to just think – as long as I do carve out that time to take my ideas to my desk-slash-laptop. Speaking of which, I think it’s about time to wrap this up so I can get back to it. I’ve been working on an article about the balance between being home with kids and trying to work at the same time. I think this is something that needs to be addressed for frustrated moms out there (like yours truly) who sometimes feel helplessly at sea. But it seems like the articles already out there fall into one of two categories: advice from people who clearly don’t have kids (or are empty nesters and have forgotten) or are written by frustrated moms who just need a friendly reader to commiserate. Yet there are successful work-at-home moms who make it look so easy. I’m sure it’s not rainbows and unicorns for them all the time, but they’ve turned their time at home and considerable talents into profitable careers. J.K. Rowling wrote Harry Potter and the Philosopher’s Stone while she was out of work and a single mom. Madeleine L’Engle stayed at home and wrote, even during a decade-long drought, in which she worried she would never be published again. So while I’ve wrestled with my own situation (which is more often work-on-the-go than from home), I’ve tried to piece together what I do that works and what doesn’t, aspiring to be as successful as one of these greats. And it was actually my son who made me realize what the most important aspect is. It was a truth that’s glared at me for months, but sometimes it takes the brutal, innocent honesty of a child to bring it home. Granted, it was a rough week for us. My husband was gone for five days, something that only happens a couple times a year, if that. I really admire single moms, military wives, and other women whose spouses travel frequently. We made it, but it wasn’t pretty. I cook most of our meals from scratch, and Thomas often takes the boys outside to play while I cook. Or he helps me in the kitchen. On my own, my kids ate a lot of chicken nuggets, I’m afraid, and I rarely got to eat before they were done. Chores went unfinished, and my temper got shorter and shorter: there just wasn’t time for me to do what I needed and sleep and play with my kids. And we’re talking bare minimum here. Forget reading a book or doing anything fun for me. One night, after getting the little guy down, I sat at the table with my laptop, writing an article. And my elder son came to me and asked for something. I am ashamed to say I don’t remember what it was – I was barely paying attention then, immersed as I was in my work. What did catch my attention, though, was what he said next: “Mom, sometimes you’re not very fun. You don’t spend enough time with us.” I stand condemned. No matter how many hours my husband works, he gives our kids one-on-one (or one-on-two) time when we’re together. The boys eat it up. They crave time with their daddy and miss him when he’s gone. The way things have been going, I wonder if the boys feel the same way about me. Something has to change. I don’t want to look back over my mothering years and realize I missed a number of small, meaningful moments while I wrote another article. Last week was an exception, but it’s no excuse. I’ve had too many days recently in which I allowed myself to become a passenger in my own life – a passenger who barely even looked out at the scenery. And it’s my life. If I am imprisoned by my choice of lifestyle, I can only blame myself because I am the warden and hold the keys. Because freelancing is so open – so “free” – it’s easy to get swept away in the current of work and never stop. And since there are no paid vacation days, no sick leave, and I don’t make a salary while I apply for jobs that may or may not come to fruition, I sometimes feel an almost self-denying need to write while everyone else takes time off. The idea that I could squeeze in full workdays every weekend was seductive. With no need to rush out the door for school and with most of my other chores finished during the week, I could just sit around and write all day – and let Thomas deal with the kids. First of all, that’s not fair to him, and it makes me unavailable to all three of them. Second, I ended every weekend looking back on everything I didn’t get done and feeling like I’d let everyone down. I’ve heard freelancers say to set a schedule, and the longer I’ve been at it, the more I agree. It doesn’t have to be nine to five (and in my case, it’s not going to be), but I do need some parameters. At some point, I need to say, This is my family’s time; writing can come later. I have preached about this before – to others as well as myself. But for me, walking the talk is more than just saying, “I need to.” My almost immediate mental turn-around – the decision to not let my writing interfere with my family – was akin to other life choices I’ve made. These are things I’ve decided to do, no matter the cost, like nursing my babies for at least twelve months, getting up early to exercise on weekdays, and cutting wheat out of my diet. This was more than a simple decision but what I think of as a covenant with myself. I write because I love it, which means it should feed me, not starve me. The only way I can keep on writing is to protect myself and my family from freelancer’s burn out. I implemented the plan this week. I wrote during the day, cutting myself off at supper time. I still checked e-mail, and if necessary, I wrote after the kids went to bed. But one of the reasons I’ve been so irritated lately is that, along with having little family time, I’ve had absolutely no me time, no time to recuperate. So I’ve made sure to only write sparingly at night, allowing myself a little time to read for the fun of it. When I received three assignments with a tight deadline on Thursday, I met my first challenge. I either had to write them all on Friday, or I would break my promise and work through the weekend. So I stayed up a little later, finished the assignments, and when I woke up this morning, instead of heading straight to the laptop, I went into my younger son’s room and helped him build a train track. This little bit of structure – of making myself accountable – has helped me be more productive than ever, believe it or not, and extra conscious of my family’s needs. 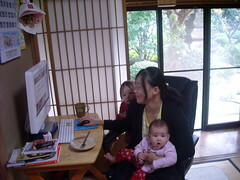 Work-at-home moms have to decide what’s most important and tailor their lives to their particular covenants. That doesn’t mean there won’t be rough days or emergency writing assignments, but there will be something to answer to. All the other bits of practical advice I’m saving for my article are secondary to this. If we work-at-home moms can’t define the purpose of staying home – and I certainly hope it has something to do with spending more time with our families – why did we choose to be at home to begin with? If you decide you’re going to be a writer, rejection is something you need to get used to early on. And it’s not just the newbies who find their inboxes full of metaphorical pink slips. Madeleine L’Engle, international bestseller, went through a ten-year slump, in which she thought she might have to give up on her career, before someone finally gave A Wrinkle in Time a chance. Especially after a run of success, rejection is hard to swallow, and that’s where I found myself last week. My problem is that I am a planner to a fault. And I had a goal for how much money I wanted to earn last week, which was dependent on the number of articles that were accepted. I got past the halfway point with acceptance after acceptance, and I felt pretty good. I mean, I was writing about obscure things like foot valves – I didn’t have a clue what a foot valve was before I wrote that article – and getting paid for them. I began to have that indestructible, I’m-never-going-to-get-rejected-again feeling. And then you can guess what happened. And it wasn’t something weird like the foot valve that did it. It was an article on treadmills. I used to run on a treadmill every day. I’m familiar with the super-fancy models they have in gyms, as well as the simpler models for home use. My instructions were specific about keyword phrases and how often to use them, and there was a website for reference. I followed all the instructions to a T, submitted the article. . . then waited. I waited longer than usual, then finally received an e-mail that it needed revisions. This worried me somewhat, but I figured I’d fix whatever I needed to fix, then have done with it. Except my instructions were that it was exactly not the kind of article the requester wanted. Well, I followed all of the instructions, so how else was I supposed to write it? Not only that, but she didn’t want me to edit the article. She wanted me to start from scratch. At that point, I’d already invested a couple hours of my time without being paid, and it wasn’t worth starting over – especially when the requester refused to send me specifics about what parts of the article didn’t work for her. At that point, I was behind on my weekly goal, and unless I planned to stay up a couple hours later than usual to make up for it, I wasn’t going to be able to catch up. Now, my goal was ambitious, anyway, but that’s how I am. Instead of having a meltdown, however, which is what I tend to do when I can’t force things to go by the plan, I accepted it. Looking back, I realize now that the pace I was keeping was liable to blow up in my face eventually, and the rejection actually saved me from what could have been much worse. I could have stuck to my goal, added to my sleep deficit, and lost my temper numerous times as I tried to cram thirty hours worth of work into a twenty-four hour day. Instead, I took some much-needed rest, read the novel I’ve been neglecting, and picked up a new project with a much friendlier deadline. Rejections can be disappointing, yes, but they can also be freeing. Mine gave me perspective on the balance (or lack thereof) between my writing and personal life. That doesn’t mean I’m looking forward to the next one, but when it inevitably comes, it’ll probably be time for another wake up call, anyway. Someone asked me recently if I always knew I wanted to be a writer. My answer: “Always. 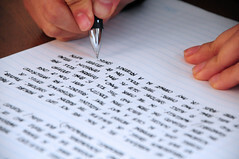 I was going to make millions of dollars as an author, and I would never need a regular job.” I assumed that something magical would happen in college, and by the time everyone else was finishing internships and putting out job applications, I would be retiring to my bedroom with stacks of college-ruled notebook paper (yes, I prefer to write longhand), where I would churn out bestsellers eight hours a day. Ha. It’s been years since I’ve been so delusional. The tough thing about freelancing—or even tougher, doing something for which I have a passion but may never get paid—is making the time for it. That whole writing for eight hours a day thing was shot when I needed to actually make an income. Fresh out of high school, I figured that bookstores would be the perfect venue for me to work through college, and then I would turn around and sell my own books there. Not only did I not get a job at a bookstore, but the job I did get was the last one on Earth I ever wanted: working for my parents’ small business. My job description had more to do with dealing with people (an introvert’s nightmare) and accounting than writing, although I did eventually become an in-house editor and writer for the company newsletter. I did what I had to do to keep from being a starving artist, and I wrote when I could. Sometimes that meant finding inspiration and writing every spare minute. Other times, I just didn’t feel like writing, couldn’t get motivated, so I didn’t. When I returned from my first maternity leave five years ago, I traded my forty-plus-hour work week and sporadic writing for a shorter work week and a load of responsibilities that left me with less time to write than ever. Recently, I decided I’d had it. I’m not quite sure what made me fed up enough with myself to change–maybe the dissatisfaction of looking back on an afternoon when I had time to write but piddled around the house, made a shopping list, and spent too long looking at my budget instead. I realized that no one’s going to publish a book that’s not finished. No one will even know about it because I won’t send it out until I feel that it’s the best it can possibly be. And it won’t attain that level of perfection until I actually sit down and work on it. So I sat down and worked on it. Whereas most days I’m lucky to read through a few pages (and maybe fix a typo or three), I actually sat down and read more than two chapters aloud, added a scene, cut a bunch of extraneous fat. . . and I still had time to read the mail and clean up the stuff my kids dumped all over the place when we walked in the door. It was somewhat of an epiphany (forgive me for being so dense) when I realized that, for someone who wants desperately to write and no longer works full-time, I have no excuse for not writing. Oh, I do plenty of writer things–volunteering for a literary mag and editing among them–but what about that career as a novelist I dreamed about? One of my problems is that I don’t know how to say no, so I fill my schedule with things that I may or may not need to do. And I do have my children to consider, but they nap every day. Why don’t I use those precious minutes to write? I am not the first writer in the world with this issue. Stephen King, before he published Carrie, was a high school English teacher who typed something ridiculous like two thousand words every night after his wife and kids went to bed. 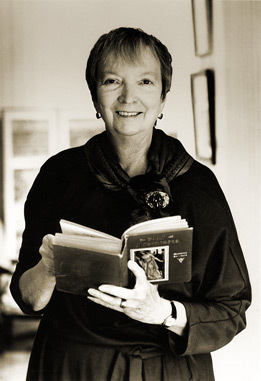 Madeleine L’Engle, after having initial publishing success, went through a decade of rejection, during which she felt useless as a writer and contributor to the family budget. She almost gave up. Almost. The last thing I want is to look back on my life and see that I gave up. Do I expect to be Stephen King or Madeleine L’Engle? Of course not. I just want to have no regrets. I don’t want to say, Well, fitness was important enough for me to get up early and exercise five days a week, but I just couldn’t ever find extra time to write. I never dreamed of being a workout nut; I dreamed about being an author. No more excuses, no more feeling sorry for myself. I am going to write, to show that I care enough to be serious, and then maybe I will actually be taken seriously. Maybe if I work hard enough, as if there’s actually someone out there who is paying me to do it, I will write something worth paying for. Maybe if someone says, “I’d really like to read the rest of your manuscript,” I’ll feel like I did my best and be proud of what I have to hand over. Decision made. Mind-set changed. I’m the one in my way, and I’m stepping aside. 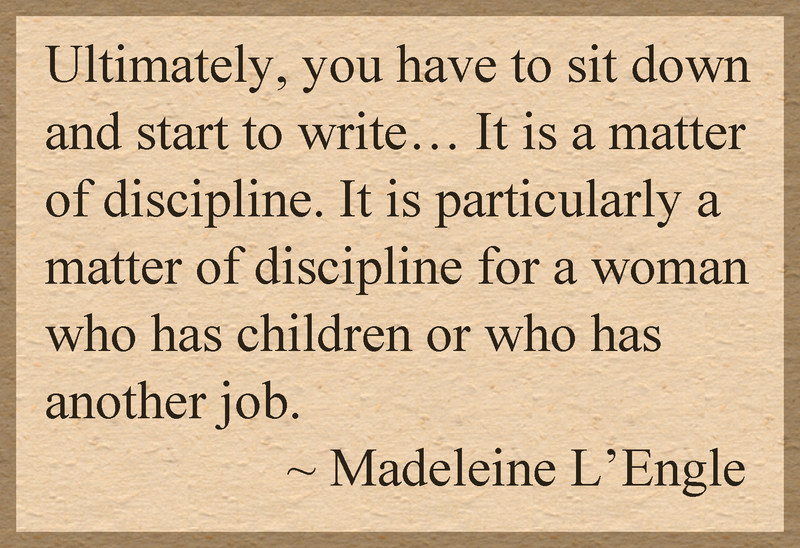 In several recent blogs, I’ve quoted Madeleine L’Engle, and for good reason. If you have not yet discovered her (she passed away a few years ago, although her writing lives on), I encourage you to click on any of the links or book covers in this blog. I will talk a little about how she has inspired and encouraged me, but there is so much more than I can include in one blog. I credit L’Engle with one writing practice that I’ve kept up with for five years now, journaling. A lot of people poke fun at me about it, as if I’m ten and writing about the boy I have a crush on. But journaling is so much more than “Dear Diary” entries. It’s something that I can do with total honesty, without the fear of criticism or rejection, something that I can turn to later and either laugh at myself or marvel at how much an experience shaped my life. Then in early 2007, I found out I was pregnant. I owned a number of books that I still had not read, and I knew that there was a chance that a new baby would occupy most of my reading time. Included in the list of unread books were a handful of Madeleine L’Engle’s, starting with her famous A Wrinkle in Time. There was also one entitled Madeleine L’Engle Herself: Reflections on a Writing Life (Writers’ Palette) , which is a compilation of material from her writings, speeches, and workshops. Before I even finished the book, I adopted the journaling habit with renewed enthusiam and vigor. L’Engle gives three recommendations to writers: “read, keep an honest journal, and write every day” (188). Reading wasn’t a problem. And I wrote when I had the time or when inspiration struck, often in spurts. But journaling? I recalled my poor, neglected blank book (I did actually graduate from the pink cover to a Star Wars one at some point), and I had no idea when I’d written in it last. When I finally found the book, I realized that if anyone were to pick it up, my life would seem full of holes. There were many significant events that I had not bothered to document. Organizer that I am, I went through all my old calendars, looking at all that had happened in the years since I’d kept my journal somewhat faithfully, and I began the act of recording. Well over a month later, I sat in a hospital bed, waiting to welcome my first child into the world, and I finished catching up. I’ve kept it up daily ever since. Sometimes I simply go through the motions: “I woke up late today”; “It was a typical Tuesday”; “I’m too tired to think straight, but here I am, anyway.” If I’m so busy that I hardly have time to pause and write in my journal, it’s even more important that I force myself to do so. Otherwise, it might be a day in which my writing skills become stagnant. Like playing scales on the piano or stretching before a run, this practice is necessary to keep a writer primed. I’ve gone months at a time when my journal was the only place I wrote, and I’m thankful that I had it. So ingrained is the practice now that not doing it would be like forgetting to brush my teeth. I don’t know what inspired me to do so, but I recently re-read Herself. Due to its format (most sections are less than one page), I absorbed it one idea at a time and over the period of a couple months rather than a few days. If I came away with the discipline of journaling five years ago, I left with so much more in the way of writerly advice this time around. I think it’s safe to say that my blogs will contain quotes from her for a while. I admire her for her strength as a person as well as a writer. She stuck with her chosen vocation through a decade of rejection (and she’d already published successfully before that), which inspires me to hold on and persevere through the unfriendly publishing world. Page 34 says, “Being a writer does not necessarily mean being published. It’s very nice to be published. It’s what you want. When you have a vision, you want to share it. But being a writer means writing. It means building up a body of work. It means writing every day.” Many people, knowing that I write but was (for the most part) unpublished called me an aspiring writer. Lack of publication, however, makes me no less of a writer. It’s writing that is the qualifier here. L’Engle gave me permission to call myself what I really am. One final thing (and I’m culling the list quite a bit here) is her knowledge on writing for children. I do not consider myself a writer for children, per se. In fact, the two stories that I have published (one out of print, the other here at Smashwords.com) are not for children at all, although they do have children as secondary characters. If you’re familiar with A Wrinkle in Time, a book that is included in the elementary school curriculum of many schools, did you know that L’Engle did not originally write it for a young audience? She simply wrote it, and it was categorized for children later. “To write for children,” she says, “it usually synonymous with writing down to children, and that’s an insult to [them]. Children are far better believers than adults; they are aware of what most adults have forgotten” (157). 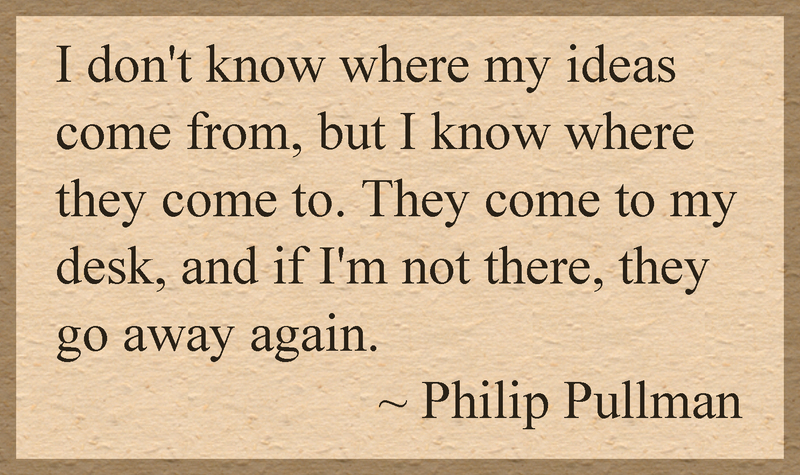 I certainly want to write for an audience who believes, so that is the goal I keep in mind when I write. And on that future date when someone (I hope) finds my book worthy of publication, I can worry about which age group wants to read it. Enough said, right? I don’t even really need to blog about this one because it’s such a no-brainer. I understand how busy everyone is, I really do. I had less sympathy before I had two children, but now that I do, I have to schedule my reading around two long, daily commutes, working five days a week, taking care of two kids twenty-four seven (well, the older one is in pre-school, but his little brother is worth two kids most of the time), and even writing this blog—but I do read. The back of a box of cereal doesn’t count, either. I suppose if Cheerios started printing serial novels on the back of each box, I’d be all over it. But I’m really talking about books. Nowadays, with smart phone technology, iPads, or your choice of Amazon’s Kindle or Barnes and Noble’s nook, you can download classics for free. Never read Little Women? Now’s your chance. When you’re waiting to renew your driver’s license at the DMV, or if you’re in the theatre, waiting for a movie to start, you suddenly have that elusive time-to-read that you’ve been looking for. Okay, so that’s a start on when you can read; now, what about the why? I’ve noticed reading makes a significant impact on what and how I write. I am at my best when I read something that inspires me to pick up the pen, a book that awakes the desire to create something that others will be excited to read. I also love to read books written by and about the authors I admire. The quote above, from Madeleine L’Engle, is an example of one of her many nuggets of wisdom. The book Madeleine L’Engle Herself: Reflections on a Writing Life (Writers’ Palette) is a compilation of her own writings and advice to other writers. With every page, I find something that speaks to me. I can say the same for Stephen King’s On Writing , although it is a completely different book. I can hear the excuses already: all of this sounds wonderful, but there are plenty of other things that inspire—good music, beautiful sunrises, people-watching—and I agree. But it’s not just about that. Many people read to escape or for entertainment. But we writers must also read as a part of our job descriptions. We’re just fortunate that we can enjoy this part of our vocation. Writers who don’t read not only do their readers a disservice, but they ultimately harm their writing. And I’m not just talking about knowing what is and isn’t going to sell (although that’s part of it, if you want to publish); with everything we read, either good or bad, we grow. I think every writer should have a little bit of an internal editor, something that switches on when we read, looks for good things to glean and bad things to discard. If you read a book that makes you want to avoid that author for good, what turned you off? If you can pinpoint it, then you know not to do the same thing in your own writing. The same goes for reading something you enjoy. I remember when I first read Douglas Adams’s The Ultimate Hitchhiker’s Guide to the Galaxy . His style was so unique, not to mention hilarious, that I found myself trying to imitate him. Of course, my story was nothing like his, but I wanted to grab my potential readers, just as he grabbed me. So you writers who don’t read—get with it! Is your writing so perfect that you don’t need to sample anything else that’s out there? Are you too “busy,” and you’ve chosen to sacrifice what I consider a necessary part of every writer’s job? I wouldn’t care to dine at a restaurant where the chef never eats, and I don’t think I would enjoy a book by an author who doesn’t read.